If I free up enough time between proctoring exams, I might write something more substantial. Until then, he are the physical highlights of Homecoming weekend. 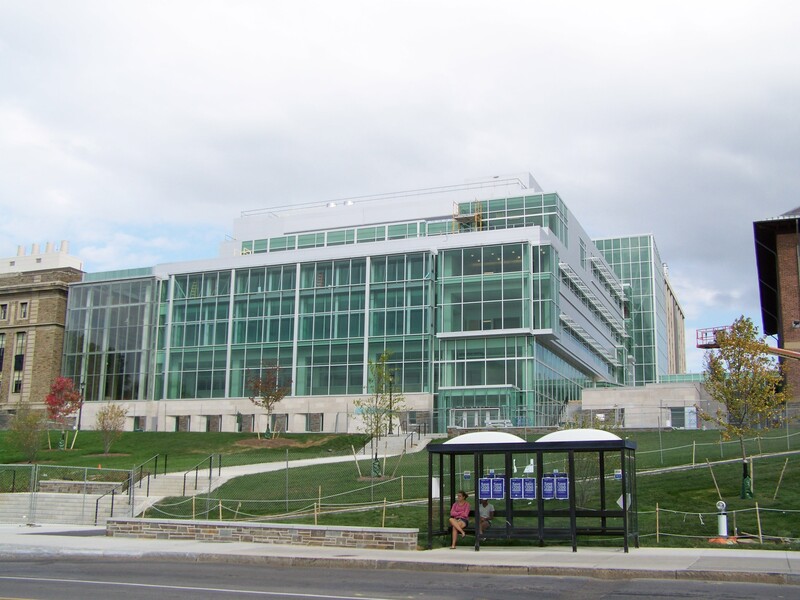 The 197,000 sq ft Physical Sciences Building is nearly complete, with a soft opening planned for next month. 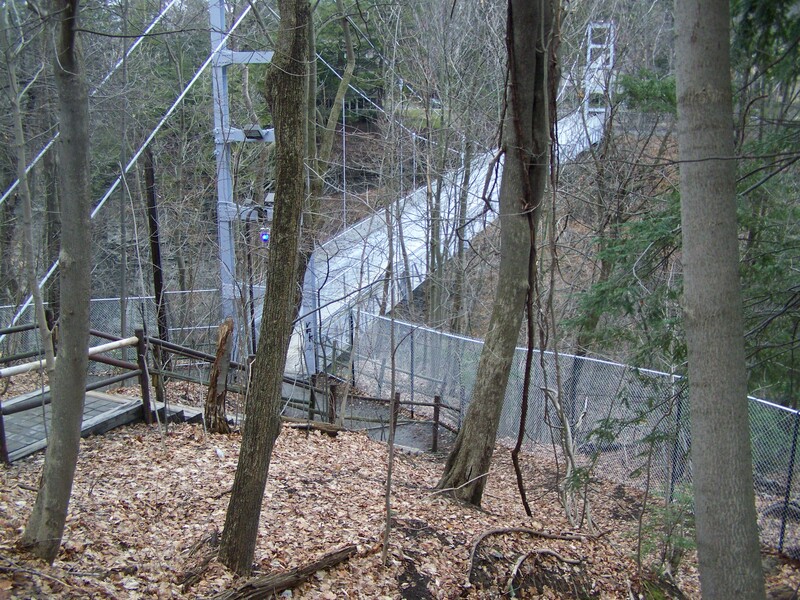 Although still fenced, the landscaping is nearly completed. The glass isn’t as clear as the old renderings suggested, but otherwise it’s pretty faithful to the sketches. Regarding work on Milstein Hall, a taste of what to come was shown with the installation of a small amount of glass on the northwest corner. Slightly greenish-blue in hue, which to me was slightly unexpected but not something I feel strongly about (I imagined a bluish tint if any at all). The 43,000 sq ft building is set to be complete by this time next year. 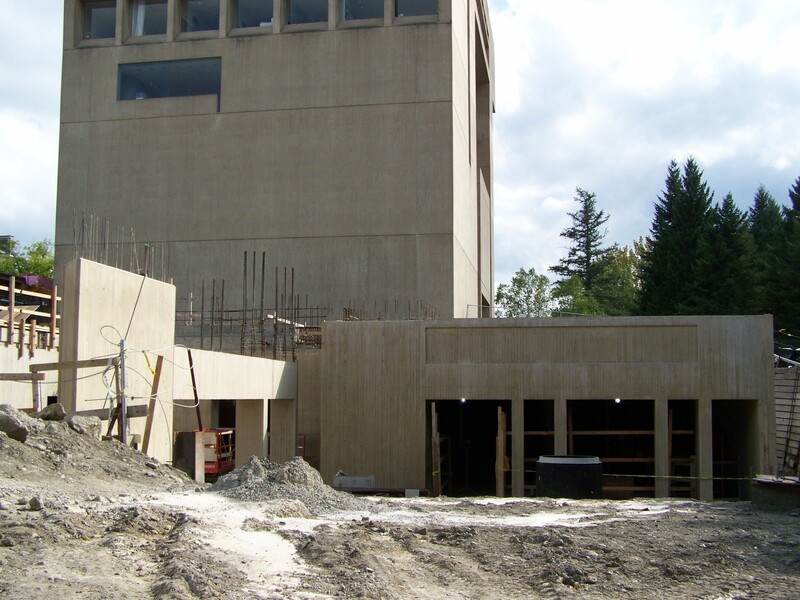 The Johnson’s addition is mostly underground, but some of the concrete work will build out to an above ground complimentary structure to the main building. It would appear that work has advanced quite a ways, with the rebar on the left indicating more pouring is yet to come for the east side of the 16,000 sq ft addition. 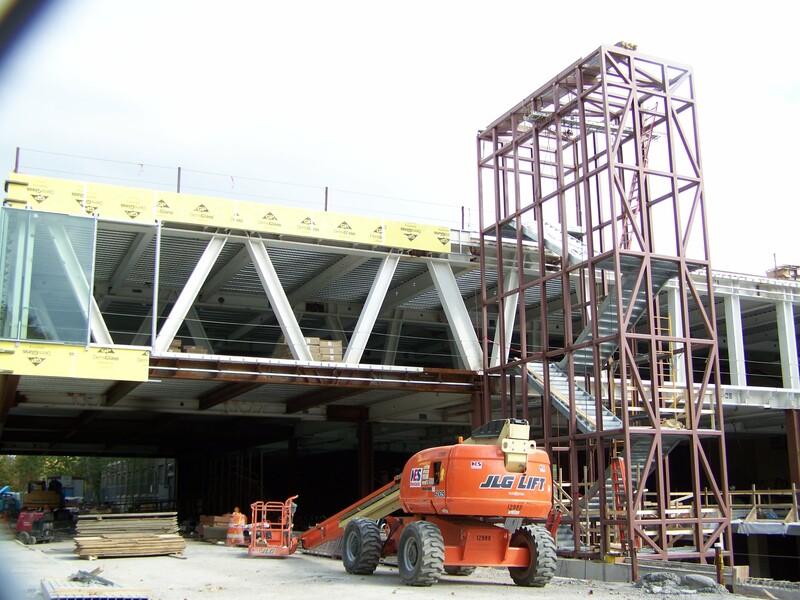 MVR North continues construction, though externally it hasn’t made too much progress in the past few months. 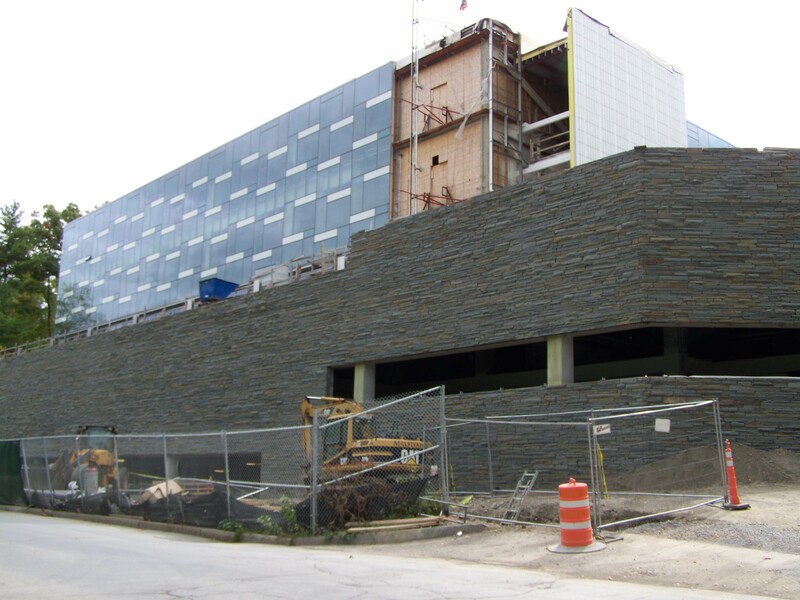 The stone facade on the parking garage has been finished and work has been done on the exterior stairwells. The 87,000 sq ft building is set to be complete by the end of the winter. A proposal to transform the middle of College Avenue hinges on developer Josh Lower’s ’05 controversial request for a Board of Zoning Appeals variance, which would exempt a building’s development from city parking laws. Lower said his proposed development project at 307 College Avenue –– next to Jason’s Grocery & Deli –– would demolish the existing building and create more than 60 new apartment units. Lower also hopes to remake the area into a highly trafficked “pedestrian arcade,” filled with street-level storefronts that would connect College and Linden Avenues. City officials are divided on whether the Board should grant Lower the variance. Under the city’s current parking ordinance, every two housing units built must be matched by the creation of one parking spot. Ithaca Councilmember Ellen McCollister (D-3rd Ward) expressed concern that there would be a lot of “spillover” for surrounding neighborhoods if the variance was given. If one developer is granted an exception, “all hell breaks loose,” as other developers would expect the same treatment. “We need to treat every developer consistently and equally,” McCollister said. Lower said his plan would compensate for the lack of new parking spaces by providing his residents with a car-share membership and free bus passes as part of the lease. “He’s proposed some measures that might encourage people to use public transportation or bicycles, but no one knows how successful he’ll be,” Marshall said. Stephen Beer, chair of the Board of Zoning Appeals, said he worried that there was no provision for enforcing Lower’s suggested replacement for the parking spaces. Eddie Rooker ’10 (D-4th Ward) said he and Svante Myrick ’09 (D-4th Ward) both supported the project. Rooker said the proposal could make the area in front of 307 College Avenue a new hub for TCAT, shifting the center of Collegetown further south. He said that TCAT wrote a letter to the city in support of the project. Lower, who lives in the neighborhood, said that “we really looked at a lot of scenarios to try to do something else with the property,” but that nothing else was viable. He said that he is currently losing money on the property. “I think he does have a financial hardship, but that’s because he paid too much for it … rather than some externality that created that financial hardship,” McCollister said. McCollister added that the Board of Zoning Appeals should wait until a decision is made about an “in-lieu of parking fee” suggested in the 2009 Collegetown Urban Plan & Conceptual Design Guidelines. The proposal, which is currently being developed, would specify a fee below the cost of providing on-site parking that developers could pay the city in lieu of building parking spaces. The Collegetown plan says the fee could then be used to help the city fund alternative transportation modes. “I can only base my plans on what is law today,” Lower responded. Rooker agreed, saying, “We can’t constantly rely on what might be happening,” and that he “would rather see something like this than a one time donation to general fund” anyway. 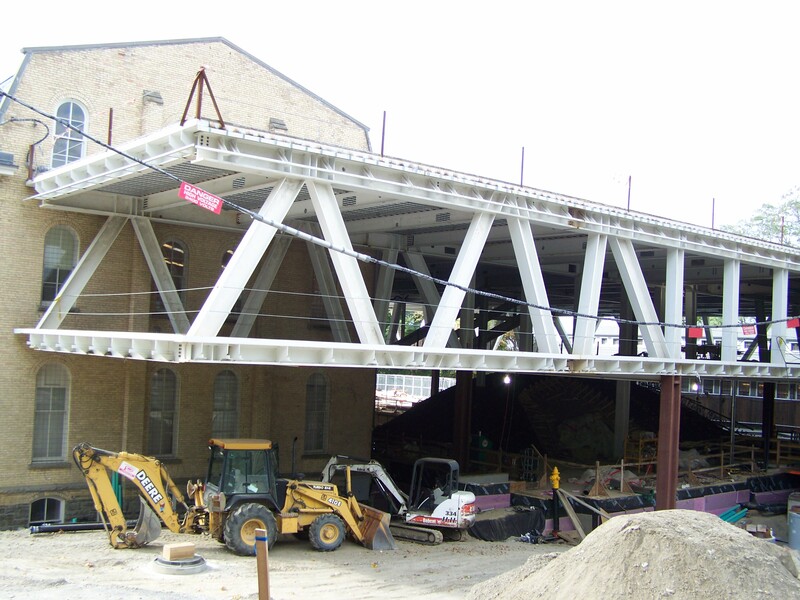 If approved, his plan is to start construction in June 2011 and have the building ready for residents in the Fall of 2012. So, the summary is this:The guy wants to build a medium-sized apartment building but doesn’t want to include parking. The issue lies with the possibility that residents would just park their vehicles on the streets and clog local roads, and finding viable options to keep that from happening. A zoning variance is required due to the lack of parking, and without it the project will not proceed. A few extra details; the development would be a 60-unit building with a retail base. Guessing from the rendering and from the height limit there, it would be about five stories. The current building on the site used to be occupied by a drugstore, but the store closed in late 2006. With the exception of the space occupied by Ithaca Carshare, the retail portion has been empty since. The argument on the parking issue is reasonable and legitimate. A lot of students maintain cars, and the overly entitled ones may still try and maintain a vehicle nearby, thus creating parking issues for the building’s neighbors. While the project would definitely add density and needed residential space to inner Collegetown (and definitely makes use of New Urbanist planning), the lack of parking is a major hurdle. Personally, I like the idea of the project, but unless he can make absolutely clear what he’s going to do to keep students from bringing vehicles to an area with no space for them, and be held to that “in perpetuity”, I would be leery of its approval. The architect is a small local Ithaca firm founded about seven years ago, John Snyder Architects. Looking at the website, it seems most of their work has been for educational facilities or interior spaces, and the style tends to be modernist with limited detailing, instead playing off of the geometric forms of the structure itself. I’m very curious to see the whole design of what would seem to be the firm’s first large residential building. At the very least, it least it won’t be another Sharma Architects proposal; a little variety does wonders. Arguably, it may not be a good time for expansion, but that’s it’s own issue. The Cornell Daily Sun has published an article discussing how the IFC is inviting the fraternity Phi Kappa Sigma (known on many campuses as “Skulls” due to their insignia) to speak to the IFC general body before a proposed recolonization this upcoming spring. Most apparent is that this illustrates how much easier it is for a new fraternity to open on campus vs a new sorority. Sororities have to have the Panhel’s benediction and have to compete against other sororities for the opening (like what’s currently going on for the new 12th sorority; five sororities are narrowed down to three, who must then give presentations before Panhel decides which sorority to offer the position to). For a fraternity, a national organization (i.e. you don’t necessarily need an interest group) has to express interest, and a good plan of execution on how to establish itself on campus. A little bit of background on Phi Kappa Sigma. They were a fraternity that previously existed at Cornell. The Cornell Chapter was founded in 1891, but closed in 1990. 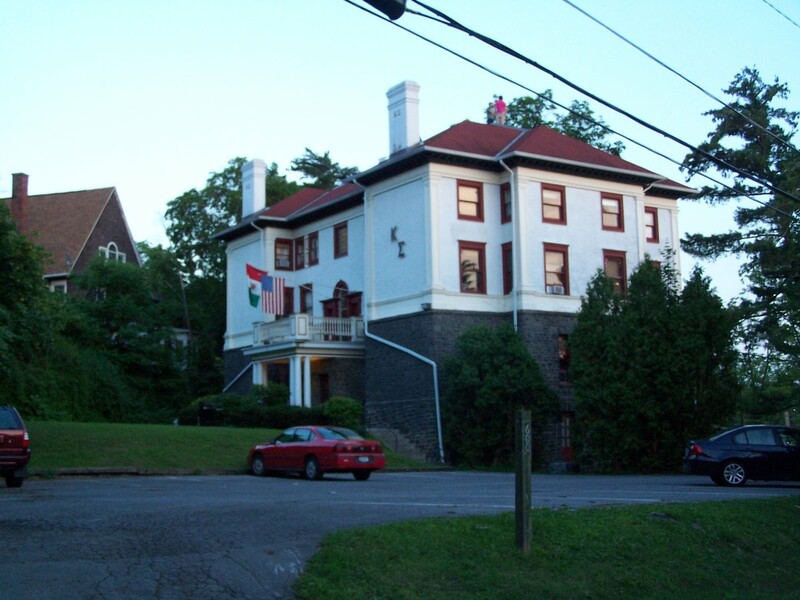 The current Pi Kappa Phi house at 55 Ridgewood Road (“Greentrees”) used to be occupied by Phi Kappa Sigma (Cornell owns the house; on the facilities website, the house is still identified as Phi Kappa Sigma). The house, built around 1900, was the property of George Morris of the Morris Chain Company (later Emerson Power Transmission) until 1935, when it was sold to Phi Kappa Sigma. 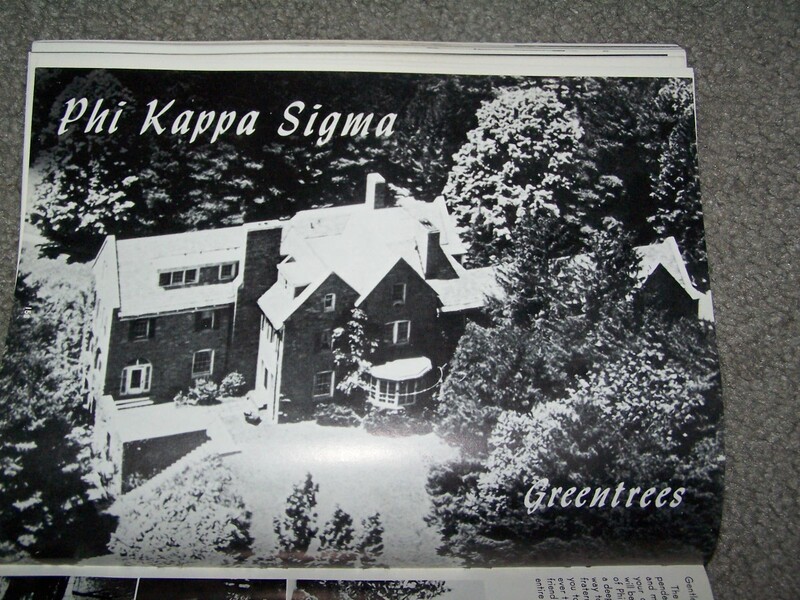 Sometime between 1935 and 1990, the Skulls sold the house to the university (likely for tax and maintenance purposes correction: It would seem that Phi Kappa Sigma put the house up for sale in 1990 and it was purchased by Pi Kappa Phi). After the Skulls vacated the premises in 1990, Pi Kappa Phi, which was recolonizing at the time, moved in the following year. I’m not sure how a recolonization may affect Pi Kappa Phi’s living situation. The fraternity is similar to Phi Delta Theta in that their newly established or reestablished chapters are dry houses. Hopefully, they’ll have a better go at things than other recently recolonized chapters. Theta Xi failed to make significant headway and from what I’ve heard, has gone dormant once again. Kappa Alpha still exists, but as a mere shadow of its former self. But, only time will tell if Phi Kappa Sigma can once again make its presence known on Cornell campus. Being interested in both the Greek System and in the university’s physical facilities, an article that details how Kappa Sigma’s house has been transformed into a small dorm is bound to catch my attention. Evwn better, it’s a very well-detailed article, and I found myself pleasantly surprised with the quality of work. I guess being an alum just reminds me of how unaware of news I am now, as this was the first time I heard anything about this renovation and reopening. 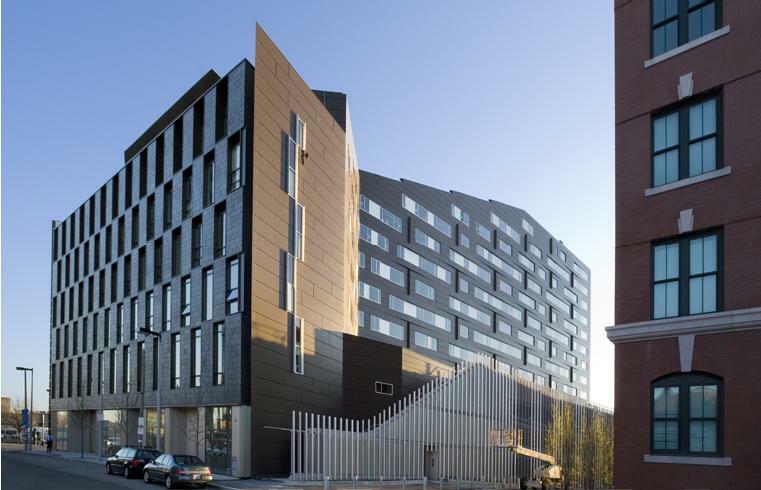 The reuse of the building as a dorm is actually the less surprising part. 112 Edgemoor and 14 South are former Greek houses that operate now as small dorms (Triangle, which closed in 1985, occupied 112 Edgemoor up to 1985 and Kappa Alpha lived in 14 South from 1957-1990). 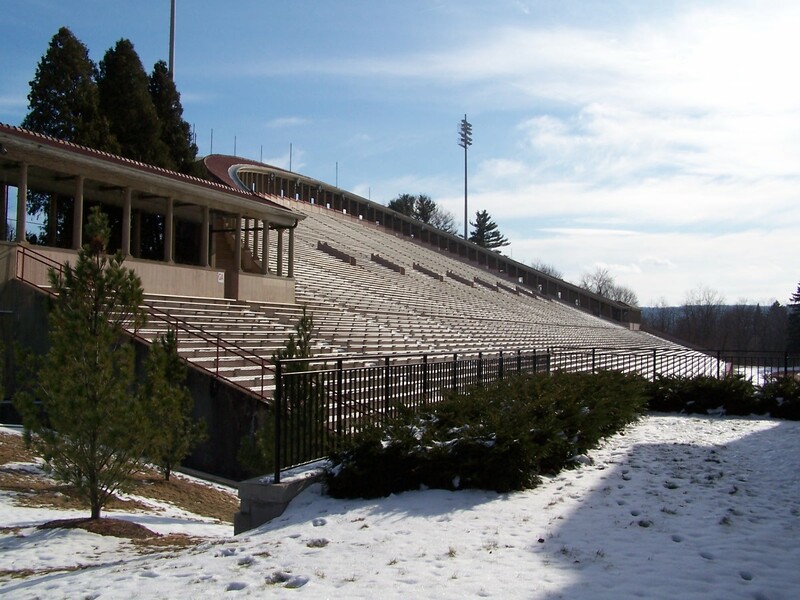 Cornell purchased the Kappa Sigma facility as part of the Cornell University Residential Plan of 1966. Reasonably, when Cornell owns a facility (as it does with at least 15 Greek houses, of which all but one (722 University Ave.) are fully occupied), it’s financially much more preferable to maintain the space as a working residential facility. This goes for private houses as well — the article mentions Pike is being rented out as a boarding house. This policy also has bearing on active chapters; boarding which is a popular option with residential fraternities with low membership numbers as a way to maintain the financial viability of a house. Interestingly enough, the university used Craigslist to advertise the spaces, and managed to fill all but one. The article reports that the estimate for maintaining an empty fraternity house runs about $80,000 to $90,000 in a given year. The extremely general description for the expenditures is maitenence. More specifically, heating (pipes may burst in the winter if the facility isn’t adequately heated), insurance, security for a vacant facility, interior and exterior upkeep, and other utilities (which cost money to even have access to let alone use) come to mind. I’m rather surprised at Cornell’s investment in renovating the facility. I dunno how much work had to be done, but if the Kappa Sigma alumni have already started the rechartering process, then it’s likely the university won’t be filling the facility for more than two years. But, I don’t know much about the maitenence of university-owned Greek houses (my fraternal alma mater was privately owned by an alumni board). It just struck me as curious.